Exiting new from YouNetCo: Our latest app [V4] Advanced Feed is officially released now! 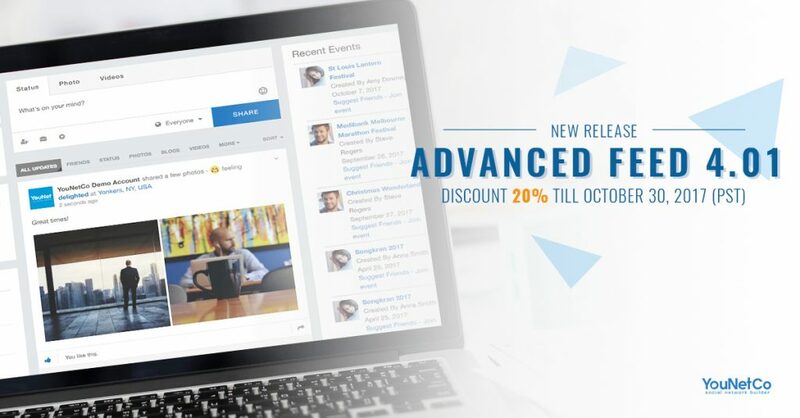 When participating in a social networking site, are you interested in being updated on the latest activities and connecting with other people by quickly posting new contents, reading, sharing and commenting on other’s contribution? If so, we guarantee that the Advanced Feed plugin will serve you well. Tag and hashtag provide a fantastic way to mention your friend in a post or a quick search of all feeds that contain certain hashtag. 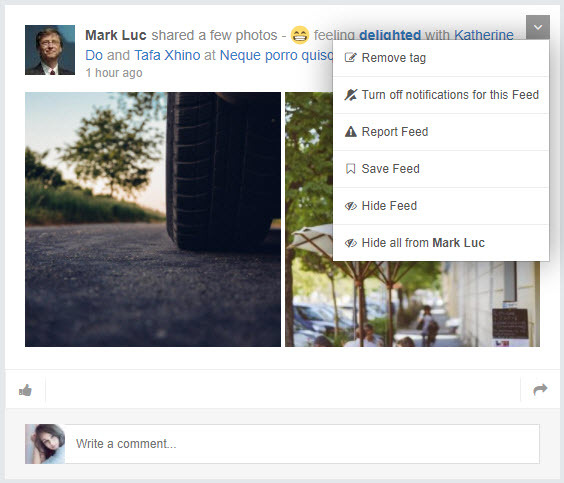 Privacy and Filters help users share their feed to the right people and make their main wall cleaner by filtering out unnecessary feeds. In addition, it provides Feeling, emoticon, location check-ins and also business check-ins which are a must-have on any social network. PROMOTION: For a limited time only, save 20% Off for all purchases of this app on phpFox Store until the end of Oct 30, 2017 (PST). Don’t miss this chance to buy the Advanced Feed V4 app for your phpFox V4 community! Hope that you will be interested in our Advanced Feed V4 app. If you still have any queries, please feel free to contact us, and we’ll get back to you in soonest.